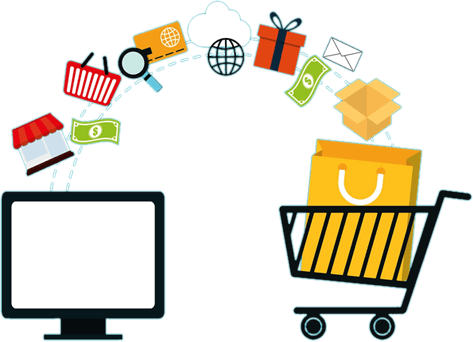 Earlier eCommerce development was considered as a means to engage maximum traffic to a site, but now it has become a necessity. However, we believe that creating the same is not just combining a shopping cart but, we also focus on what will convert visitors into customers and further converting the traffic into orders. For this our competent team, develops the customized site to promote your brand effectively after deep analysis done our on your competitors and needs of target audience. We offer all those features which are necessary to run an online selling business successfully, keeping in mind that the site should be user friendly, easily accessible and responsive. Along with the features, we have high standards for online security for our clients because in any eCommerce site, security is given prime importance. Be it a design, development, security, payment gateways, shopping cart features, front-end and back-end features; leave it to the highly qualified team of Allengers. We have experience in successfully creating, fully-loaded online market place for our esteemed clients. It is not only features that we integrate, but every site that we have created till now has an appealing design as our talented team has intense passion for designing of the website as this is the first impression of any site given to the users.